The world of finance has dramatically expanded over the past few decades as new and innovative options have become available for businesses to finance their operations and plans. There are two broad categories of finance—equity finance and debt finance—but with the passage of time, new and efficient methods have been introduced. Startups and SMEs (Small and Medium Enterprises) have more access to finance than they have ever had. For example, with the availability of large amounts of data, executives are in a better position to seek new opportunities and face the challenges faced by societies, leading to unique business ideas. These ideas are welcomed by different types of investors through various mediums, such as crowdfunding, angel investing, venture capital, and private equity. The public often uses venture capital and private equity interchangeably because these terms are used for investment firms that only invest in businesses to later sell them through different means, such as Initial Public Offerings (IPOs). Both of these alternative investment types are kinds of monetary assistance provided to businesses at different stages, but they are not the same. There are a number of differences between these two terms. Unlike private equity, which is comprised of large investments in mature businesses, venture capital involves small investments in startups and companies that are in their early stages. 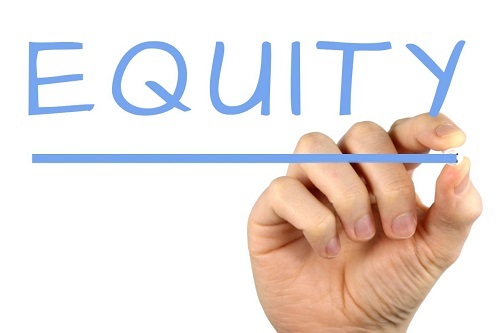 As discussed, PE funds invest money to acquire ownership of equity in companies that are at a high growth stage of their business. There are different types of private equity firms, and they participate either actively or passively in portfolio companies based on their strategies—strategies that include Mezzanine capital, leveraged buyout, venture capital, and growth buyout. Passive participation is more commonly related to mature companies that have proven business models, but requires funds for expansion, entering new markets, restructuring their operations, or financing an acquisition. Active participation, on the other hand, has more to do with firms playing a direct role in restructuring a business, providing support or advice, or re-arranging the senior management, etc. In the past two decades, private equity has become one of the most crucial parts of financial services around the globe and is considered an attractive financing option. VC, on the other hand, is a part of PE. VC funds specifically invest in startups or SMEs (Small and Medium Enterprises) that show great potential for growth. Their focus is mainly on sourcing, identifying, and investing in the right investment opportunities with good financial prospects. Moreover, VC investors have a say in business decisions. There are a number of differences between a private equity and a venture capital. Some of the key differences have been explained below. PE investors mostly invest in established and mature companies that are either losing their business or not making sufficient profits due to inefficiency. PE investors purchase these firms to reorganize their operations in order to improve the overall efficiency of their business, and subsequently, increase the revenue. In contrast, venture capitalists invest in new businesses or startups that have a high potential for growth in the future. A PE fund usually owns 100 percent of the equity of the companies they invest in, which gives them complete control of the companies’ affairs after the buyout. On the other hand, VC firms only invest about 50 percent or less of a company’s equity. There are a number of VC firms that invest in multiple businesses to spread out their risk, which keeps them from suffering huge losses if one startup fails to survive in the long run. The capital structure of both funds is different. Private equity firms have a mix of equity and debt in their investment; whereas, the venture capitalists only make equity investments. VC firms mainly keep their focus on technology companies, such as bio-tech or clean-tech. But PE firms can buy businesses across all industries and sectors. A team of individuals in a PE firm consists of former investment banking analysts since the due diligence and modelling exercises carried out a PE are somewhat similar to that performed in banking transactions. Any individual, including consultants, can join a PE firm, but the firms usually prefer someone with experience in devising a leveraged buyout model. VC firms, on the other hand, have a diverse mix of individuals on their teams, usually consisting of business development individuals, former bankers, former entrepreneurs, consultants, etc. The main focus of private equity firms is on the corporate governance, i.e., a system of rules and practices through which a business is controlled, directed, and managed. In contrast, VC firms tend to follow the approach of management capability, wherein the collection of capabilities is exercised to generate profit and to have a competitive advantage over other firms in the market. As far as PE funds are concerned, the risk revolves around a number of small investments equating to a large total investment size. If one investment fails, the entire fund will fail. Because of this, PE funds mostly invest in mature businesses that have little chance of failing in the next three to five years. On the contrary, as already discussed, VCs are high-risk investments. Venture capitalists expect that most of the startups they invest in might fail. At the same time, if a single investment becomes successful, it can make the entire portfolio of investment profitable by generating substantial returns. A well-known venture capitalist, Fred Wilson, said that in his portfolio of 20 to 25 investments, one would become a complete success, four to five would give good returns, five to ten would fail, and the rest would simply not make it. It is normal for venture capitalists to take such a risk, because they make a small amount of investments in a large number of companies. When it comes to generating returns through these alternative modes of investments, neither model that makes more money than the other. The return earned by both PE and VC funds is lower than what most investors say they generate. In the case of VC firms, returns are mostly affixed to the top performing businesses; wherein, one big winner can cover up the losses suffered in other investments. But, in the case of PE funds, high returns can be earned without making an investment in well-known or large companies. PE firms usually search for companies that have undervalued assets for which the firm can use its expertise in order to increase the company’s value in the future. VC firms, on the other hand, search for and place their reliance on professional and well-knitted management teams that have a potential to create a profitable business. PE firms make an exit by moving on to other hedge funds where the potential to make money is comparatively fast, or they switch to venture capital so they can walk out on large deals and invest in startups. They can also make an exit by switching back to advisory roles, launching their own fund, or by entering into entrepreneurship. VC firms can make an exit via IPOs, merger and acquisitions, buyback of shares, or making a sale to other VCs or strategic investors. Each investment type has its own characteristics. It is important to know the differences between these two funds so that businesses can make better financial decisions. Hira Waqar. "The Difference between Venture Capital (VC) and Private Equity (PE)." DifferenceBetween.net. January 15, 2018 < http://www.differencebetween.net/business/the-difference-between-venture-capital-and-private-equity/ >.